Cerebral Palsy Sport is the country's leading disability sports organisation supporting people with cerebral palsy to reach their sporting potential. Our vision is that everyone with a physical disability is able to access a sport of their choice. Our mission is to improve quality of life of people with physical impairments through the provision of appropriate sport and recreational activities. Their aim is to increase participation, raise aspirations and promote inclusion of children and adults with cerebral palsy in sport and physical activity. They offer support and advice to parents, support workers, teachers, coaches, physiotherapists, occupational therapists, sport providers and other professionals on how to adapt sports for people with cerebral palsy. 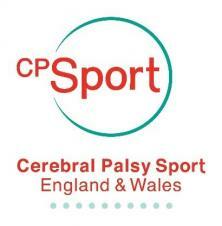 To visit the Cerebral Palsy Sport website click here.